ANYWAYS... enough thinking about those stupid fears and back to the actual review! So a little while back I bought the "Hi Shine Lip Treatment" from the Body Shop. The shades that were available were quite nice, and I picked the lightest one they had and a slightly darker pinkish purple one. Unfortunately the lip glosses disappointed me, they were too sticky... all lip glosses are sticky but with these ones I could barely even touch anything, and whenever my hair got stuck to it, getting it off was horrible. Another thing that I didn't like was that they were too heavy, and that surprised me because what I tend to like about their other products is their lightness. 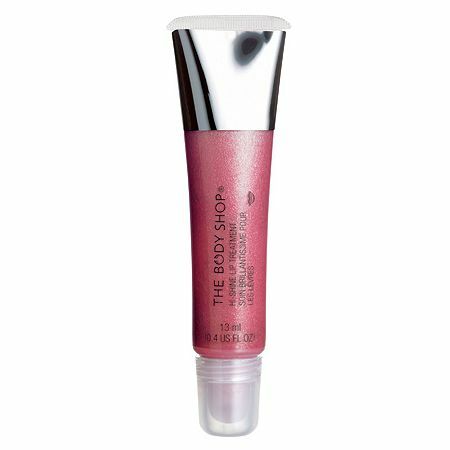 I really like most of the Body Shop's products but I'm sorry to say that this lip gloss is one I wouldn't recommend. wow! Looks like a great product! Hope i find some around!